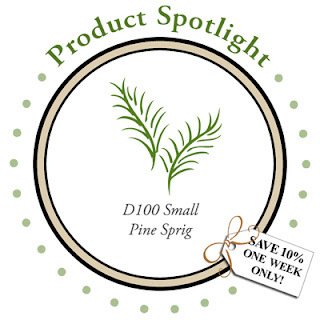 I stamped the Small Pine Sprig image in white ink on the green paper until I got a garland look. Then I added some red rhinestones. I matted the main image with red cardstock embossed with a lattice embossing folder. I added one of my favorite holiday DeNami greetings and layered it on the card with foam tape. 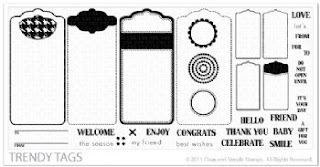 You must check out the DeNami blog because the DT girls made some amazing cards with this cute little stamp! Stop over and check them out! Thanks for coming by today! I want to wish you all a very happy Thanksgiving! I am thinking my blog might be kinda quiet for awhile here! Lots of people to see and food to eat! :) Tell me what you are doing for Thanksgiving this year! Can you believe we don't eat turkey anymore? GASP! I know! I got tired of making them! (Did I just admit that?) It's true! 2 years ago my husband was helping me and he said....why in the world do we go to all this trouble? This is too messy he said! I agreed! So this will be year 3 of a Mexican fiesta! We have chicken, Chipotle rice, black beans, quac and all the stuff to add on top and make it super yummy! I can't wait to see my family and my new little niece! 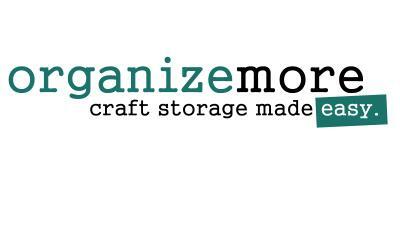 AND I get to spend a crafty morning with several blog friends! YAY!!! Just in with a quick card today using the new sets from the November Clear and Simple release! I also have a card up on the CSS iPhone app! Go check it out if you have the app or you can read more about downloading it HERE! I haven't played along with Colour Q in awhile so I had to hop on here tonight with an entry for this weeks combo! It was a challenge! I have 2 more cards sitting on my desk and this was the one I decided to enter! So last night I watched Twilight and tonight is New Moon...probably won't see Eclipse before the movie tomorrow! You know I just said I wasn't a fanatic in my last post and look at me! Confessing to the world I am actually watching the other ones at home just to catch up before tomorrow! LOL! Just stopping in to share a quick card I turned in for World Card Making day! I wish I had taken another pic of this card at a different angle! The 2 smaller squares are popped up on foam tape and that is hard to see here. I do love this paper though! It is such a fun color combo and one that is not my usual! I bough this pack by mistake....can you really do that? But yes, I did! The one I wanted was left behind! Now that I do own this one I definitely love it! I lightly inked up the Lined IP with white ink....as you have seen me do before...and then ran it through my Big shot. It is just the most subtle distressing and I love it! I added some pearls in the inside corners of the squares and a white sentiment onto this Smoky Shadow card base. I am kinda diggin' this card! What are you up to on this Friday night? I am hanging out with the kiddos...or will be in a minute! :) We are gonna watch a movie and eat some popcorn! I am getting all excited for Sunday to get here! Going to see Twilight with my friends! At first, I had NO interest in these books. I am not a fan of anything vampire or scary, but my friend made me do it! I read them all last year. Yes I am admitting that now out loud...to all of you! I am by NO means a Twilight fanatic, but I really just can't wait to see how they turned this 4th ook into a movie! Lots of crazy stuff going on in this time around! 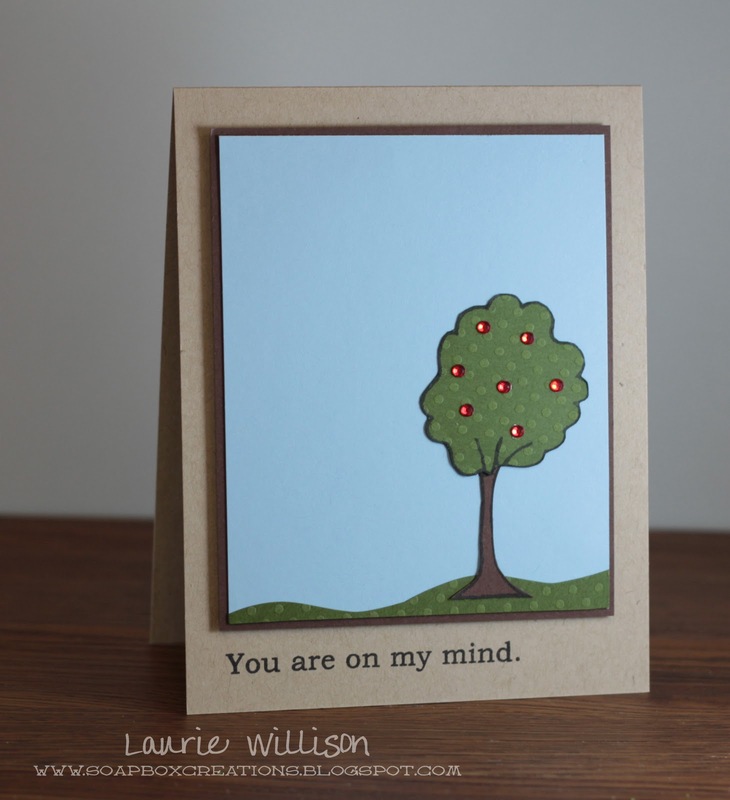 This tree and sentiment are from Trade Fish Designs! They are out sponsors this week! 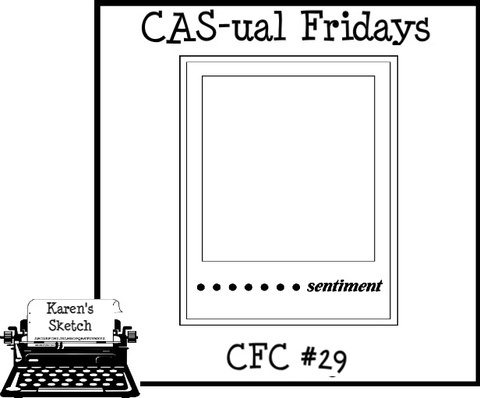 Stop over to the CAS-ual Blog to see more about the prize and all the other sketch card for this week! Our challenge is going to run for 2 weeks this round so we a little break for the holiday! And it gives you extra time to play along! Thanks for coming by today! Have a great Friday! After stamping the music background, I ran the whole card through with the Damask impression plate from PTI. I am hooked on texture really! I love those plates! Then sentiment is from a Verve set that I haven't use in forever either! Of course I had to add some roses and some bling! Have a great evening and thanks for stopping today! I added a ribbon ruffle and some MFT roses. Black roses? I know! I think somehow on the pink background they still look happy right? And another banner sentiment. I seem to be doing that a lot lately! So that is it for me today! I am having a VERY productive day today! House vacummed, laundry on its way to being done, bathroom cleaned, kid happy playing....it's a good day! Thanks so much for stopping by! That is the theme of today's DeNami blog hop! I needed to make an ornament for a friend, so I thought this was the perfect opportunity! If you are following along with the hop, you just came from Suzanne's blog! If you'd like to start from the beginning, just click HERE to take you to the full list of participants! Don't forget to leave comments along the way! DeNami has some fun prizes for you! So I stamped on the chipboard ornament with Versamark and then heat embossed using Zing powder. I added a ribbon loop and a bow and then some glittery snowballs for a little something extra. After I was finished, I sprayed the whole thing with Smooches glitter spray. IRL it looks so fun! So that is it for me today. 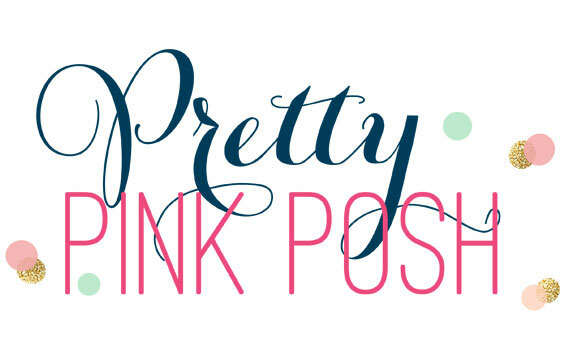 Your next stop is Lani's blog! I can't wait to see what everyone has cooked up for today! 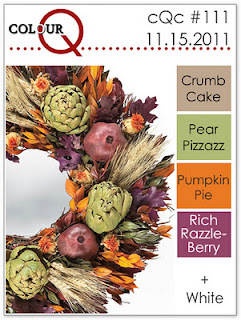 When: The blog hop starts on November 13 at 6 AM, PST. 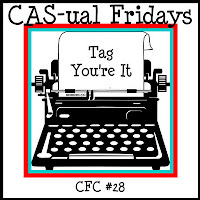 However, you have until November 14, 2011, 11:59 pm PST, to leave comments on all the blogs (to be eligible for a prize). 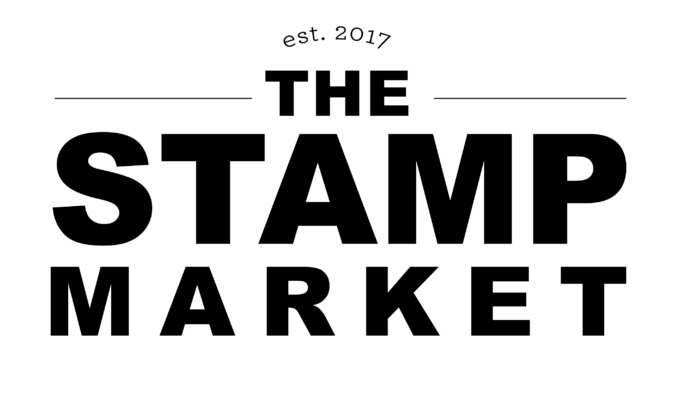 Why: To be inspired by non-card items featuring DeNami Design stamps! Prizes: We are giving away THREE $20 gift certificates to our website! We'll be giving away one gift certificate to a random participant (DT members not eligible) and then we'll also be giving away TWO gift certificates to TWO people who comment along the hop! Thanks for stopping by! Hope you have a great Sunday! 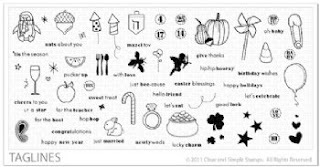 This adorable Thanksgiving Noteblock stamp is from Purple Onion! I stamped the image with Burnt Umber Palette ink onto Rustic Cream. I matted it with Terracotta Tile and then added that to the tag. 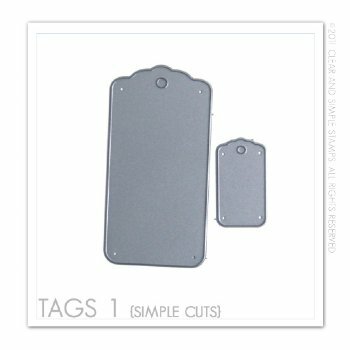 I cut the 3 1/2" x 7" tag, scored the top and used a circle punch for the hole. I used my corner rounder for the top just for a little more detail! Super easy to make on your own! I think this would make a great hostess gift for the holidays or even just to sit on your table! Stop by the CAS-ual blog to see more tags from the DT and check out the prize for the week! Purple Onion Designs is our sponsor! Thanks so much for coming by today! Happy 11-11-11! Are you in the mood for Christmas? Well, I am. I want to decorate my house, make cookies and shop! Our fireplace is going right now...I think that helps. It makes it so warm in here and feel like winter...even though all it is doing outside is raining. And raining....for like 2 days. To make these little mittens I stamped the DeNami snowflakes all over a piece of red cardstock with white ink. Then I stamped the mittens in black and then cut them out. I added a little piece of twine for decoration. I centered the sentiment and then added a little bling for sparkle. 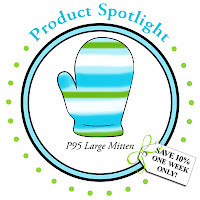 Check out the DeNami blog to see all the other mitten creations! So here I am with a super late post today! Life has been crazy this last week! I just got off of work...don't usually work Tuesday's...so I am home now to get stuff done! 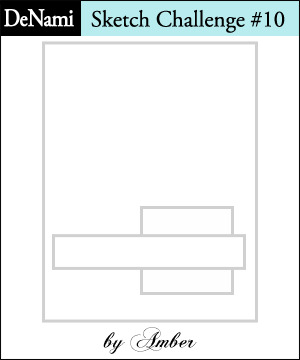 Today is the Clear and Simple Group challenge! I have a fun little project to share! I have a gift bag, tag and card set to share! Here is my tag and matching gift bag. I used Taglines and Trendy Tags to make this little tag and pumpkin. These sets are so fun and they go for just about any season! To get this layered tag, I stamped on the die cut and then traced the actual die onto the orange cardstock. I hand cut that and tied it to the bag. I colored all the pumpkins with Copics. It is such a fun image to color! I just decorated all the tags with brown twine and some brown bakers twine. The card base is impressed with a woodgrain impression plate. Thank you so much for coming by! I hope to have a chance to get crafty tonight! I haven't been in that room for quite sometime! I only used 2 stamps for this card! The Heart Flower Trio and then a little sentiment from Heartfelt Greetings. I colored in the little image with Copics and added some ribbon! 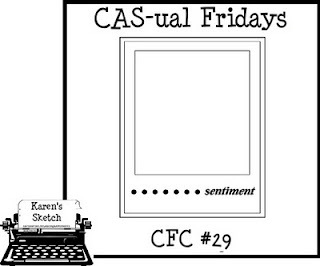 CAS! I used Lil Inker's amazingly cute cloud dies! I love these things. A lot. then I just cut some strips of paper and attached them under the cloud! I stamped a little sentiment from the Lil Inker set that comes with the clouds and rainbow dies! You must check them out! So cute! And our sponsor is none other than Lil Inker Designs! Go check out the CAS-ual blog to see the other "over the edge" creations and the prize for the week! Have a great weekend! I stamped the flourishes evenly down a light pencil line in Versamagic Jumbo Java...love that stuff and I always say it wrong...maybe its Java Jumbo! Anwyay, then I covered the seam with some polka dot ribbon. I added in a label from MFT with a sentiment and some flat silver embellishments! Then a bow and some roses! Hope you are all doing good today! It's turning cold here tomorrow so I am off to enjoy the rest of this warm "ish" evening outside with the kids! Have a great day! Welcome to Clear and Simple's November release! How in the heck did November get here already? WOW! We have some SUPER cute and very versatile sets to show you this month! I am in love! 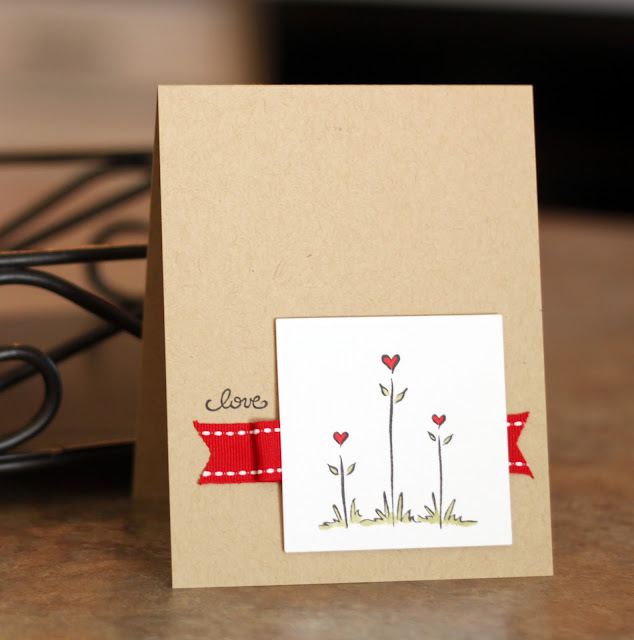 First off, here is my card using the new set Trendy Tags! I also used Kind Deeds...another of my favorite CSS sets! 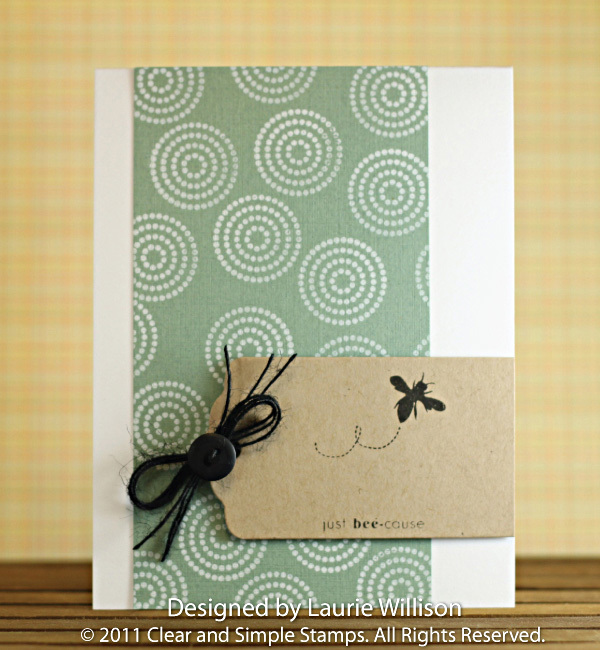 I just added the tag to some patterned paper and then to a music impressed card base! Super simple! Check out the other DT creations too! These sets are so just fun I know there will be lots of amazing design ideas to see!